The Department of Pathology cherishes and promotes diversity among its faculty. 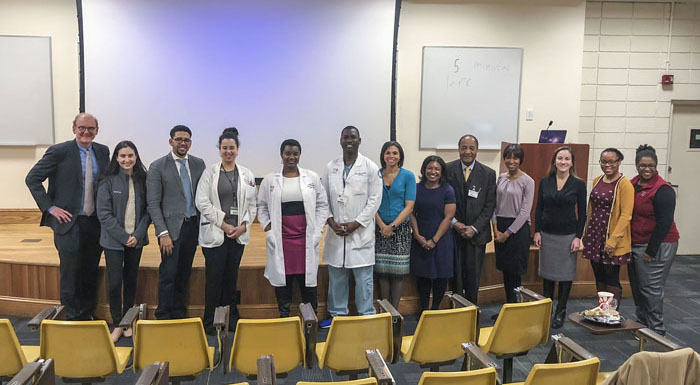 Towards this end, Dr. Juan C. Troncoso leads a committee to identify ways to foster the recruitment and retention of faculty from groups underrepresented in medicine, including underrepresented minorities and persons from disadvantaged backgrounds. Dr. Troncoso obtained his medical degree from the Catholic University of Chile and came to Hopkins as a fellow in Neuropathology in 1978. 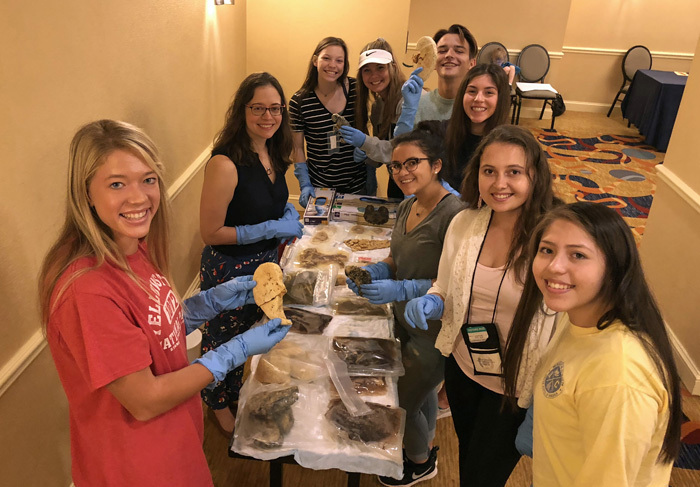 Composed by individuals of diverse backgrounds, the committee sees as its responsibility to develop ideas and to propose initiatives that will fulfill the deep commitment of our Department to a diverse working environment within the Hopkins tradition of excellence in service, teaching, and research. 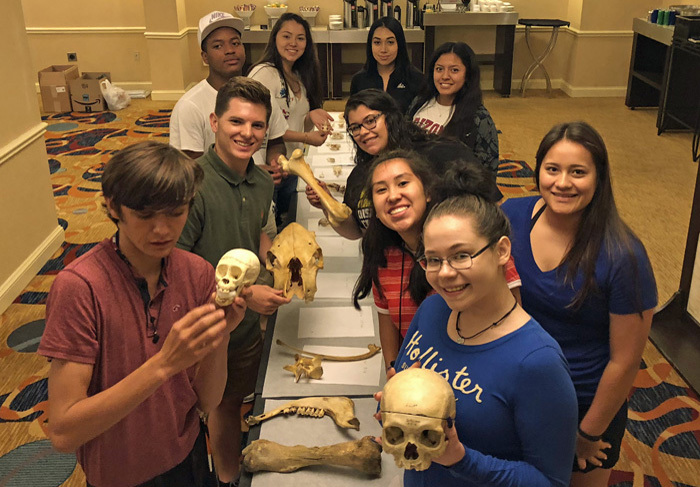 As early exposure to a field is a critical factor in the development of a future career in medicine and pathology, our efforts include exposing college and medical students from groups underrepresented in medicine to re search. The committee also has served as an effective resource for the Department on the recruitment of new faculty. 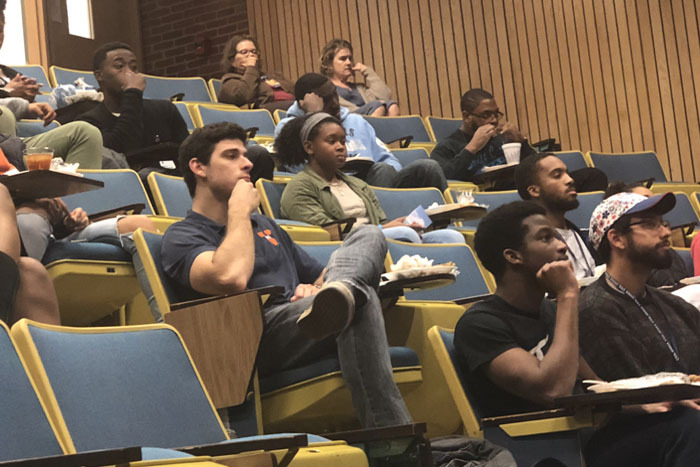 Importantly, the committee is always looking for new ideas, and invites members of the Department to contribute ideas, suggestions, and comments to promote a more diverse academic community. Please send them to troncoso@jhmi.edu. 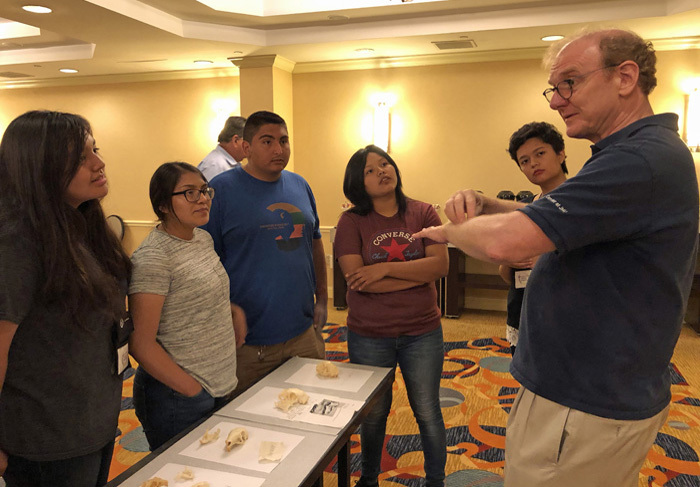 The Johns Hopkins University Department of Pathology is committed to the recruitment, retention, and inclusion of a diverse range of faculty, trainees, and staff in its programs. 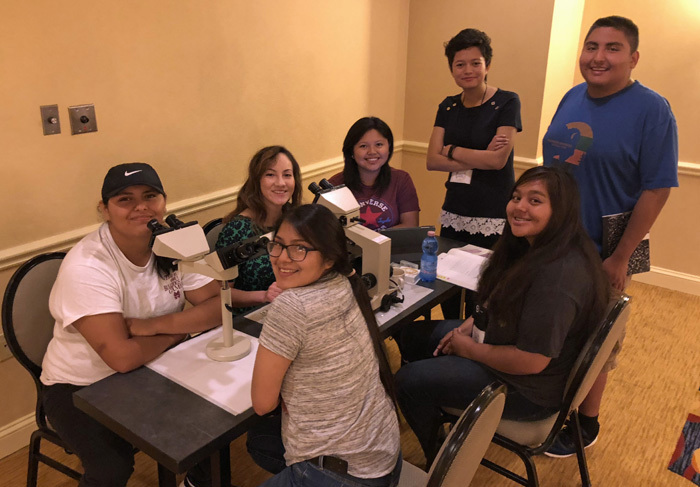 With the increasing scope of Pathology’s activities beyond the local level and United States, it is appropriate and desirable for the faculty, trainees, and staff to reflect the changing patient, student, and research populations we serve and the pool of talent available worldwide. The term diversity is meant to refer to characteristics such as race, religion, nationality, ethnicity, gender, and sexual orientation. Where there is under-representation of specific groups among the ranks of faculty, trainees, and staff with respect to the relevant populations, we will select and use effective and appropriate methods to monitor, identify, recruit, retain, include and value qualified individuals of such groups. Setting goals and measuring key variables of the Department with respect to hiring and retaining individuals of underrepresented groups. Assisting and participating in the processes for identifying and recruiting underrepresented faculty, trainees, and staff. Reviewing Department Policies, Procedures and Practices that affect recruitment and retention. Providing information and education about the diversity of the department and diversity issues in general. Recommending ways to strengthen retention by ensuring that needs and concerns of underrepresented faculty, trainees, and staff are understood and addressed. The PDCs report directly to the Director of Pathology and provide progress reports and strategic plans for the Department. On March 25, 2019, a group from our department, led by Drs. Annika Windon and Marissa White, visited Meharry Medical College in Nashville Tennessee. 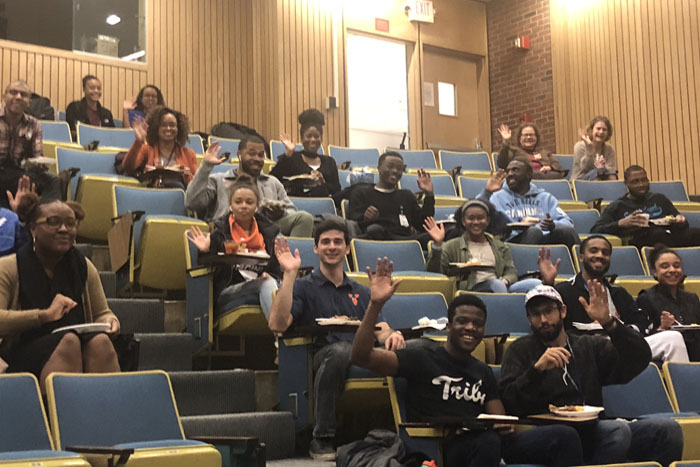 Dr. Windon gave a wonderful presentation on careers in pathology and on the Department of Pathology at Hopkins, and Dr. White followed with sobering statistics on the percentage of underrepresented individuals in medicine. Drs. Juan Troncoso and Ralph Hruban joined the team from Hopkins. It turned out that one of the Meharry students, Ashanata Brady, attended the same grade school and high school as Dr. Hruban. A small world! On February 23, 2019, Drs. 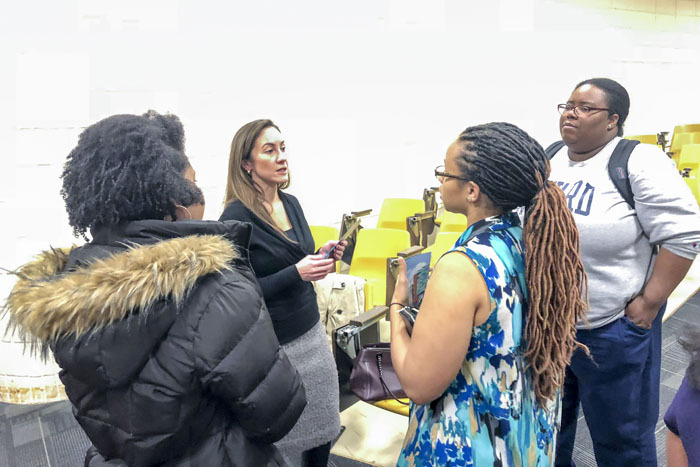 Alisha Ware, Annika Windon, Kevan Salimian, Tricia Murdock, and Lysandra Voltaggio represented our department at the Annual Howard University College of Medicine Residency Fair. 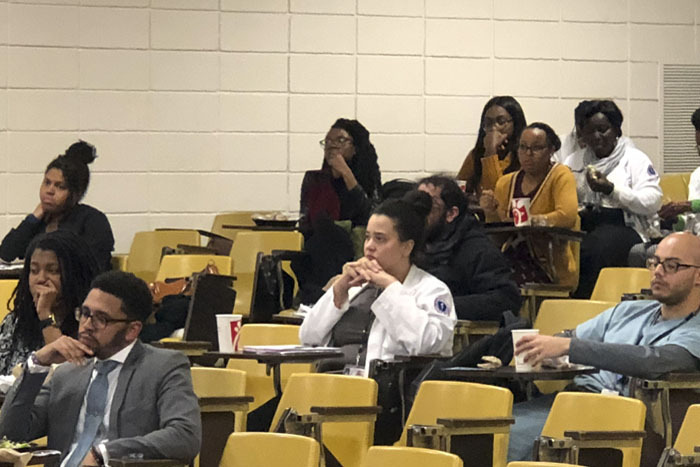 The event serves to introduce medical students from Howard University and the mid-Atlantic region to various residency training programs and specialties. 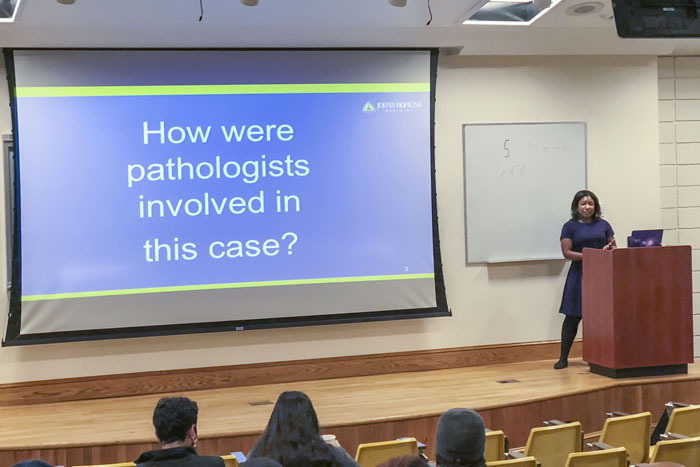 Our team from Hopkins answered questions from several interested medical students and provided information on various rotations in Pathology at Hopkins. 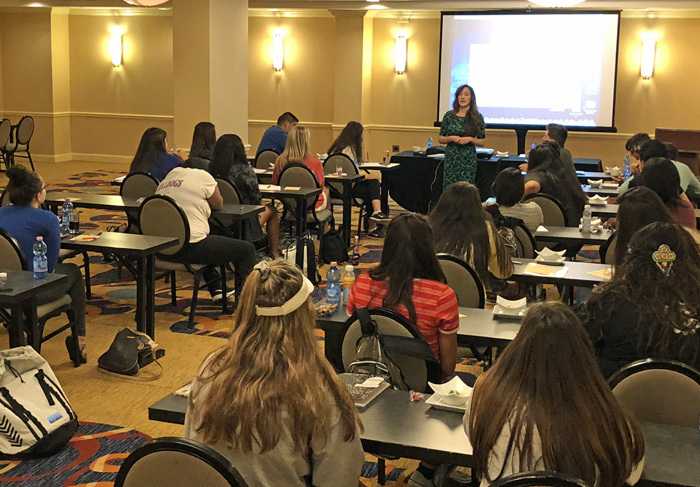 The event was well-attended with over 50 residency programs represented, and our team had lively discussions with many enthusiastic medical students. On November 13, 2018, Drs. 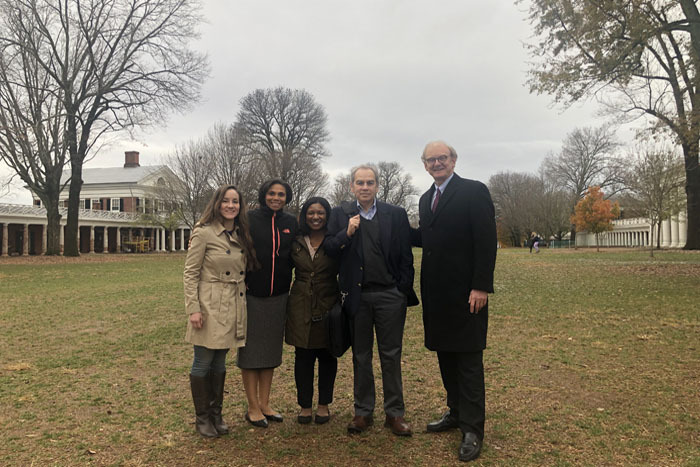 Alisha Ware, Marissa White, Tricia Murdock, Juan Troncoso, and Ralph Hruban, representatives from our Pathology Diversity Committee, traveled to The University of Virginia (UVA). The purpose of the visit was to promote careers in Pathology among groups underrepresented in medicine. 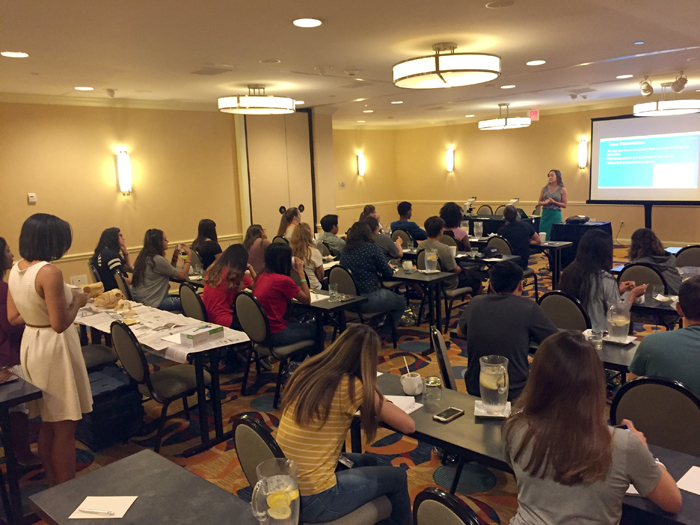 The presentation was organized in conjunction with the UVA Chapter of the Student National Medical Association. 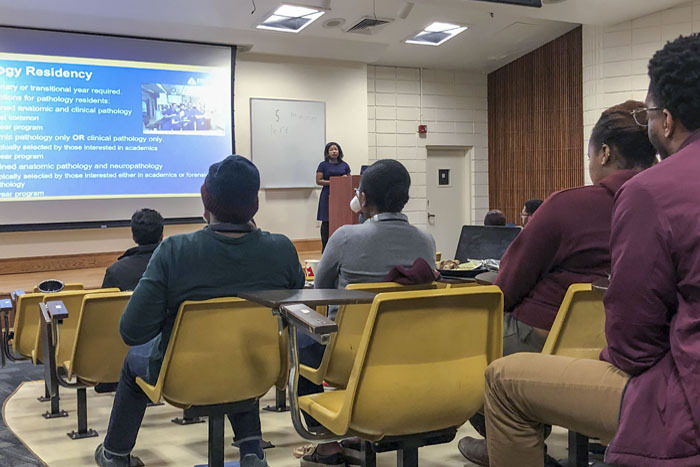 The room was filled with eager undergraduate and medical students, who had many questions and offered positive feedback. 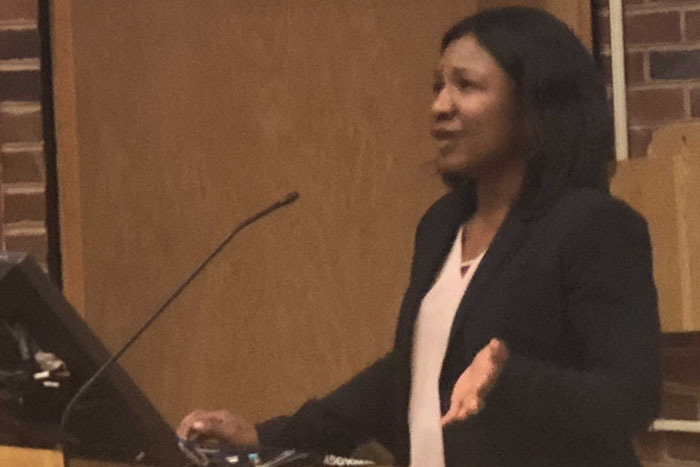 Dr. Alisha Ware began the presentation by introducing the field of Pathology, providing a glimpse of Pathology at Hopkins, and promoting our fully-funded Pathology rotation for groups underrepresented in medicine, including underrepresented minorities and persons from disadvantaged backgrounds. 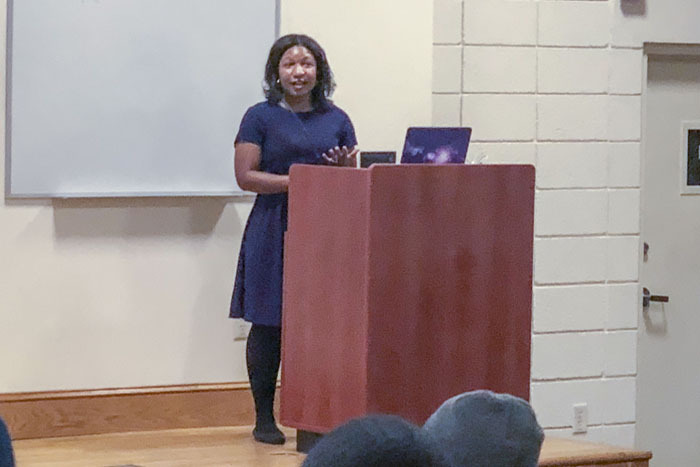 Dr. Marissa White then provided data on the increasing need for diversity in medicine and some of the challenges of being a person underrepresented in medicine. The presentation concluded with Drs. 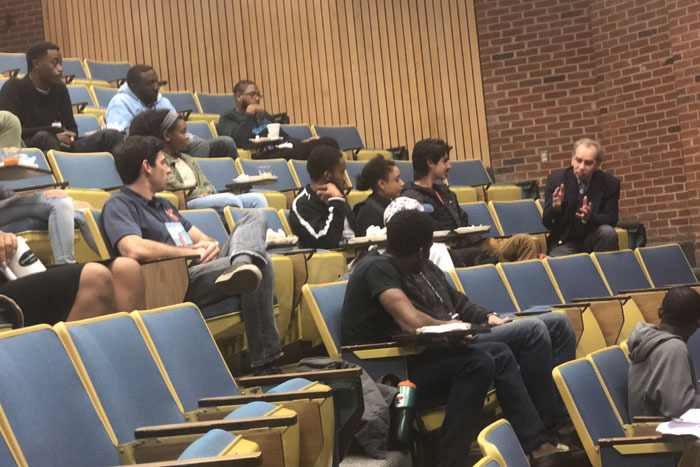 White, Ware, and Murdock sharing personal anecdotes on training as a person underrepresented in medicine, and providing words of encouragement to the students in the group. 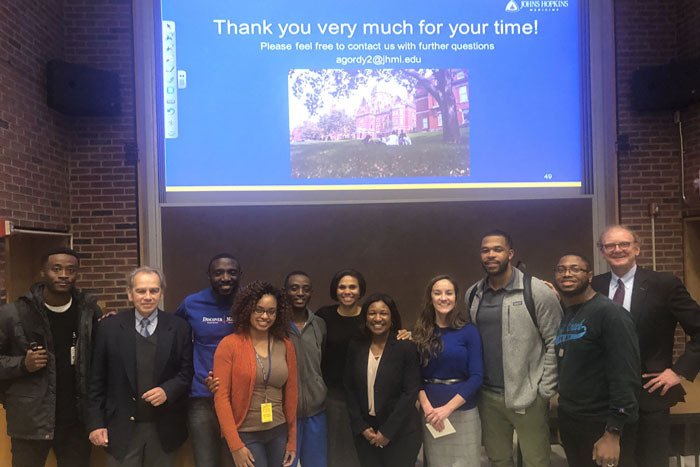 The team from Hopkins received plenty of positive feedback and interest following the presentation, and looks forward to their next trip to Charlottesville! 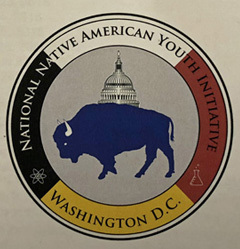 Thank you to Dr. Tricia Murdock for organizing inspiring sessions on the Broadway campus and in Washington D.C. as part of the National Native American Youth Initiative. 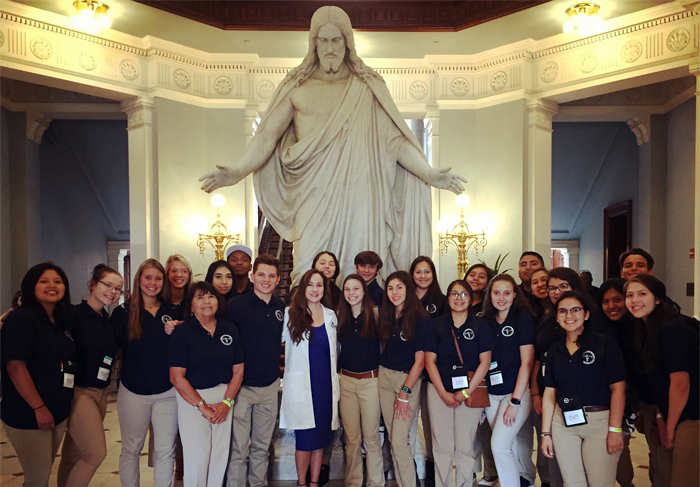 On Thursday the students toured the hospital and Art as Applied to Medicine, and on Saturday Drs. 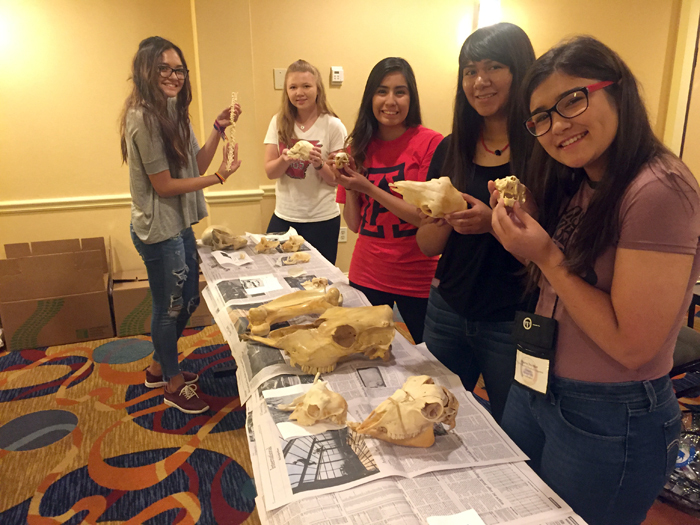 Murdock, Voltaggio and Hruban spent an inspiring morning teaching the young Native American students about pathology. 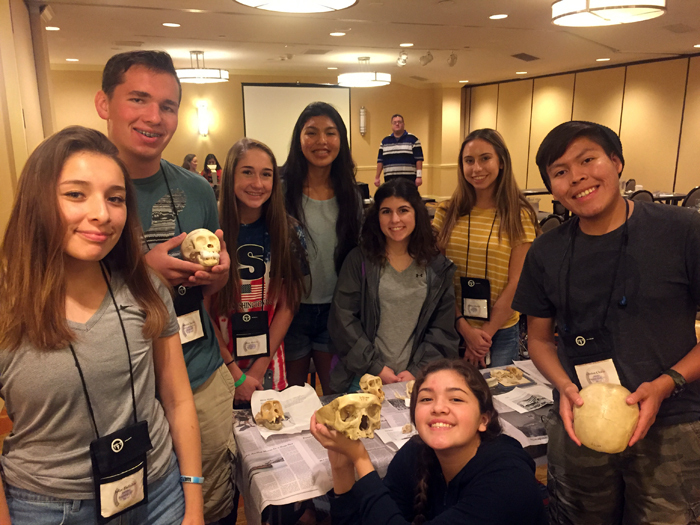 The sessions were organized by Dr. Murdock and the Association of American Indian Physicians. The students asked thoughtful questions and their knowledge was impressive- future leaders in medicine! Drs. 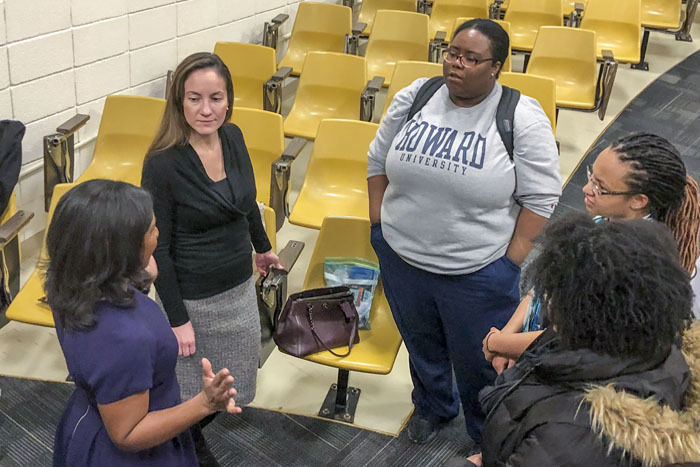 Alisha Ware, Marissa White, Trish Murdock, and Ralph Hruban visited Howard University School of Medicine on Thursday, December 7, 2017. 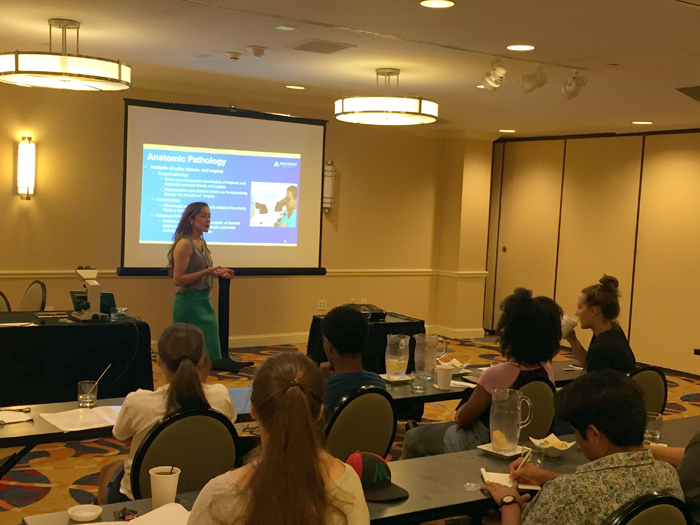 Alisha gave a presentation on the field of pathology and the Hopkins program for groups underrepresented in medicine, including underrepresented minorities and persons from disadvantaged backgrounds, to a group of over 40 medical students. After the presentation, the students asked many great questions. Drs. Tricia Murdock, Marissa White, Alisha Gordy and Ralph Hruban spent an inspiring morning teaching a group of wonderful young Native American students. The session was organized by Dr. Murdock and the Association of American Indian Physicians. The students asked great questions- future leaders in medicine! Dr. Ralph Hruban, Director of the Department of Pathology, talks with Kathleen Sander, Ph.D, author of biography of Mary Elizabeth Garrett. Kathleen speaks about Garrett's support of women faculty, a legacy still prominent today at Johns Hopkins Medicine. 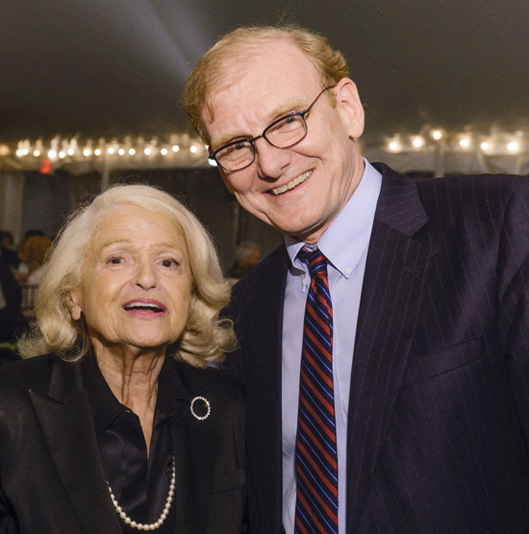 Dr. Ralph Hruban, Director of the Department of Pathology, with Edith Windsor. Edie was a fearless fighter whose lawsuit against the U.S. government led the Supreme Court to declare that the 1996 Defense of Marriage Act violated the Constitution. President Obama called the ruling a "victory for American democracy," and Windsor was hailed, at the age of 84, as a hero of the gay-rights movement.